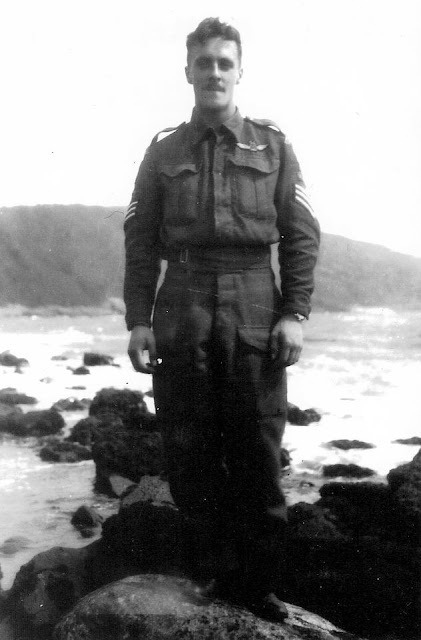 Shortly after midnight on June 6th 1944 men of 9th Battalion the Parachute Regiment along with section of sappers from the Royal Engineers and Glider Pilots undertook a daring operation; to take and eliminate German guns in four casemates to prevent them firing onto the beaches planned for the seaborne element of Operation Overlord later that same morning. Eight Horsa's would carry in stores including Jeeps ammunition etc. The Author of 'The Day the Devils Dropped in' Neil Barber has developed an extremely interesting Facebook page in order to take the the story further and to a wider audience. The following photographs of four of the Glider Pilots caught my eye the other day and so, after contacting Neil, I'd like to share them with you, as well as a link to Neil's FB page which is well worth a visit... as is his book itself, wink, wink. Notes relating to S/Sgt. Baldwin: S/Sgt. 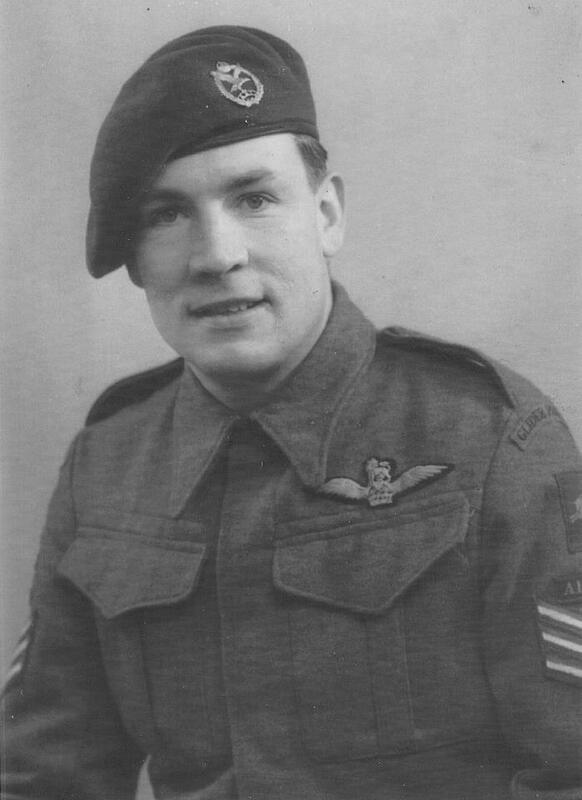 Arnold Baldwin and his co-pilot Sgt Joe Michie flew one of the Horsa's on the night of 5th/6th June, however the tow rope broke over the English coast. With luck and superb flying they got the glider back to RAF Odiham in the dark. Notes relating to S/Sgt. Dean: S/Sgt. 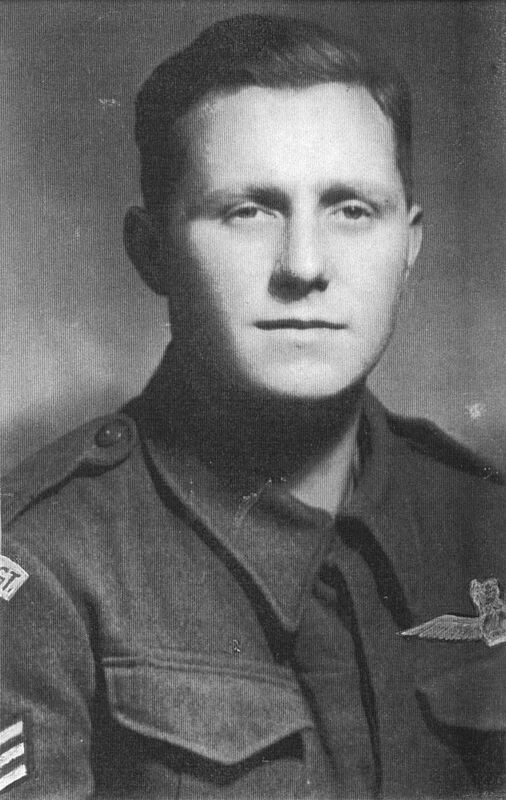 Dean and his co-pilot Sgt Stan Bone flew another of the Horsa's in the assault on the Merville Battery carrying, among others, Capt. Gordon Brown. It was Capt. Brown who had the idea of marking the Glider Borne forces with the skull and crossbones which were then painted on the the Denison smocks. Notes relating to Sgt. Michie: Sgt. 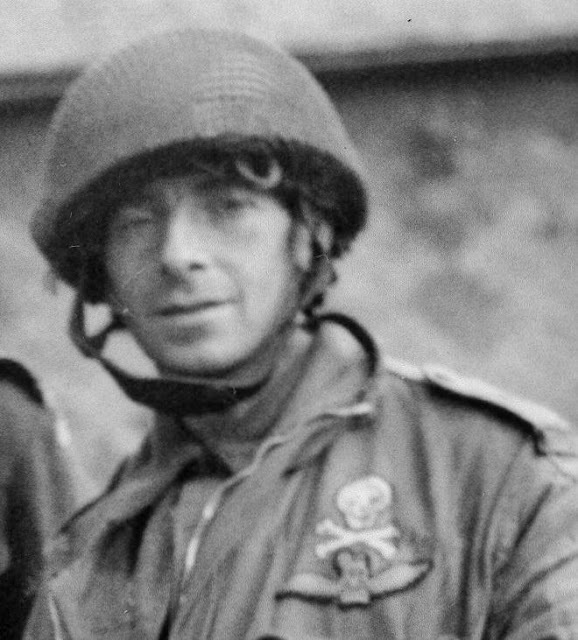 Joe Michie was the Glider Pilot responsible for actually painting the skull and crossbones on the smocks as he was an artist in civilian life. As an aside detail, many felt that the painting was too bright and dulled them down by rubbing dirt into them. Notes relating to S/Sgt. Kerr: S/Sgt. Dickie Kerr landed his glider his Horsa just to the East of the Battery and the men on board were able to attack and halt a German patrol which would've been hot on the heels of 9th Battalion as they were making their assault on the Merville Battery. Photographs and notes are courtesy of Neil Barber. Hi, I'm looking for info on my dad David Cruickshank 6th airborne, do you know anything?